Lee delivers! We contracted with Lee to keynote our national customer event to speak on hiring, onboarding and compensating salespeople. The feedback on his session was fantastic which we greatly attribute to Lee’s pre-work and intertwining our culture into his customized presentation. He’s dynamic, fun, and engaging. Every business executive and sales leader shares the same dream. “Hire a rainmaker, put my feet on the desk, and let the revenue roll in!” While this dream rarely comes true, it doesn’t stop executives from continuing to chase it. This flawed dream leads to missed revenue targets, revolving doors on sales teams, and executives pulling out their hair in frustration. Sales management strategist and best-selling author of “Hire Right, Higher Profits,” Lee Salz helps companies stop chasing rainbows and start building world-class sales forces. In this fun and educational presentation, Lee introduces the concept of “revenue investment” – a true description of the dollars associated with adding salespeople to the team. He teaches you how to make informed revenue investment decisions when hiring salespeople, protect the investment and get a fast, high return on it through sales onboarding, and use sales compensation as a lever to drive revenue investment performance. By the end of this presentation, you will have a completely new perspective of your sales team leading to top and bottom-line results. Top performing companies don’t hire salespeople. They make investments in revenue. If you aren’t smiling from ear to ear when writing commission checks, your sales compensation plan is broken. 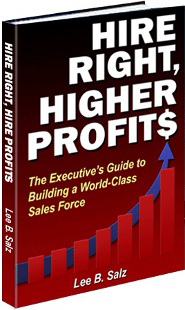 Lee B. Salz is the best-selling author of “Hire Right, Higher Profits” as well as several other business books; and a leading sales management strategist. As founder and CEO of Sales Architects and Revenue Accelerator, Inc., Lee has helped hundreds of companies build world-class sales forces through hiring, onboarding, and compensating salespeople – leveraging his “revenue investment” philosophy. 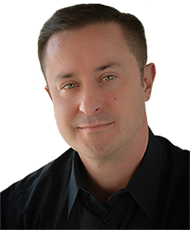 Lee is the founder and CEO of Sales Architects and Revenue Accelerator. 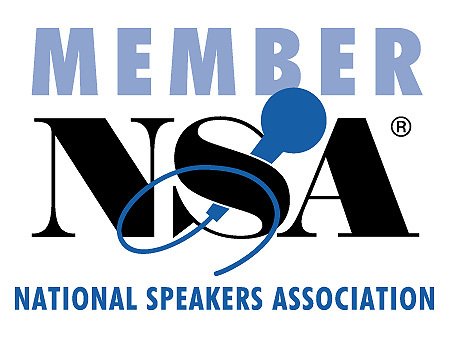 He is also a featured Business Journal columnist, an Editorial Advisory Board Member of Sales & Marketing Management Magazine, and an Advisory Board member of the Sales Education Foundation. He’s been frequently quoted and featured by the media including Wall Street Journal, New York Times, CNN, and ABC News.